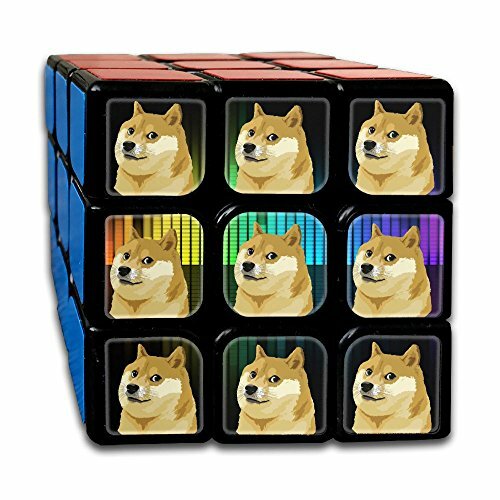 Doge Dog Magic Cube Has Been One Of The Most Acclaimed Puzzle Games In The World. It Measure And Builds Intelligence. The 3x3 Cube Can Be Solved In Endless Ways And There Are Multiple Benefits In Learning How To Solve It. Improves Cognitive Skills And Concentration Builds Your Iq Level And Improves Hand-eye Coordination Keeps The Brain Sharp During Old Age Excellent Iq Cube Our 3x3 Magic Cube Features A Plastic Construct That Is Non-toxic And Safe For Use By Everyone. This Cube Turns Smooth And Has A Tension Able Design That Makes It Super Easy To Use. On Top Of That, Our Extra Focus On Elegance Makes It An Aesthetically Appealing Accessory That Looks Great In Any Space Within Your Home, Car Or Office.